Death welcomes everyone. This is the foundation for the veneration of Santa Muerte, or �Holy Death.� Considered to be the female personification of death, she is associated with protection and safe passage to the afterlife. She is also the patron saint of people who live on the fringes of society and often face violence and death. In recent years her constituency has expanded to include the LGBT community and people who are marginalized or whose jobs put them at significant risk of death such as military and police personnel. Santa Muerte is hailed as their potent and powerful protector, capable of delivering them from harm and even granting miracles. 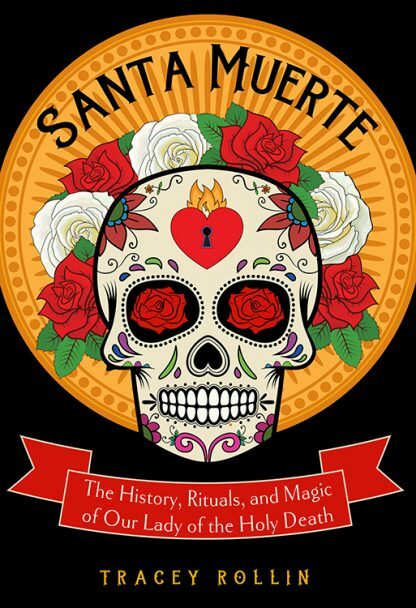 Santa Muerte is a complete ritual guide to working with this famous�and infamous!�Mexican folk saint. It takes us beyond the sensational headlines to reveal the truth about why Santa Muerte is so beloved by so many. Author Tracey Rollin presents simple, straightforward methods for working with Holy Death that may be used alone or easily incorporated into your own magical practice. Tracey Rollin is the administrator of the Bone Mother Facebook group, a 65-thousand-member community of Santa Muerte devotees. She has been a practitioner of chaos magic and witchcraft for over 20 years, dedicating herself to the advancement of consciousness, spiritual understanding, and personal power. Tracey is also a registered nurse with years of emergency room and trauma experience.